I was just wondering where were things about the small part of Crait that we have in Arcade, and maybe Blast? Can't wait for some... enlightenment from the devs or CMs. 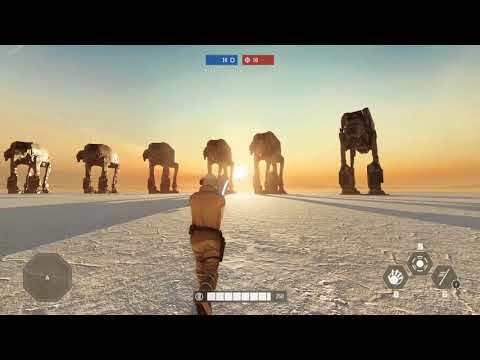 The devs promised us that we would get Crait added to HvV a long time ago, but it has since been forgotten. I'm still waiting for this map too. I wish that it would be in the trenches still but closer to the hanger, so that combat could be in the hanger too. Thanks willywonka7 but... that's it? Things have been forgotten and that's it? What's the best way to get in touch with one of the devs or CMs? Developers seem to reply more to questions and stuff on Twitter and Reddit .......than they do to anything in this thread.